Industry 4.0 technologies deliver opportunity for manufacturers to mitigate risk using flexible automation, particularly when it comes to material movement inside facilities. Automation capabilities are now adaptable, scalable and intelligent, delivering actionable operational insights via data that may have not been tracked or available before. Manufacturers are facing a number of new risks in an evolving operating environment, such as cybersecurity, unfamiliar technologies, and risks related to customer demand for customization. Yet, technology, particularly those delivered within the realm of Industry 4.0, can alleviate these symptoms by boosting operational efficiency, integrating into properly configured networks, cybersecurity defence, enhancing productivity and keeping plant workers safer. 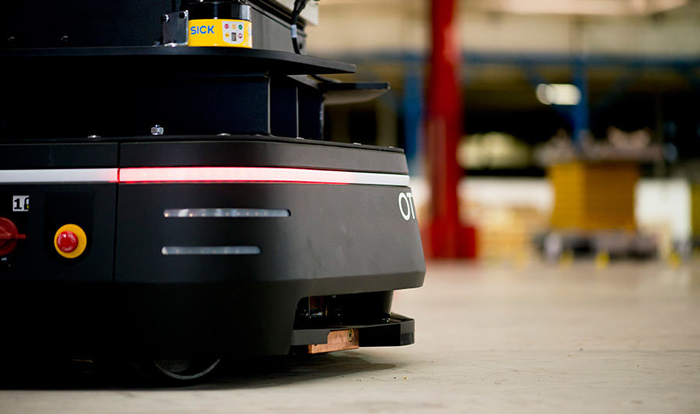 One such technology includes self-driving vehicles (SDVs) that break free of magnetic strips and pre-programmed routes, unlike their autonomous guided vehicle (AGV) brethren. These robotic vehicles, designed for material movement activities, don’t require infrastructure and, instead, are able to adapt to new environments to deliver an easily integrated and scalable solution powered by Industry 4.0. Indeed, early adopters on these implementations are using data analytics to help drive decision-making, including those involved in the risk management process. A PwC report suggests the relationship between a strong risk management process and robust data integrity systems can help manufacturers better manage cybersecurity breaches and other operational headaches. By leveraging supply chain analytics via data captured by autonomous material movement systems manufacturers are able to uncover ways to better predict demand during peak production seasons, trends in product development and optimizing their entire manufacturing and distribution networks. This is helping manufacturers to rethink decision-making activities and mitigating operational risk through the deployment of advanced, Industry 4.0 technologies.